If you find yourself over in Kew on a Monday evening, consider popping along to the Jodrell Lecture Theatre in the north-east corner of the gardens for the new season of horticultural lectures. The first in the series, and quite a highlight, runs this Friday 28 September (contrary to the subsequent programme, which is all about Mondays). 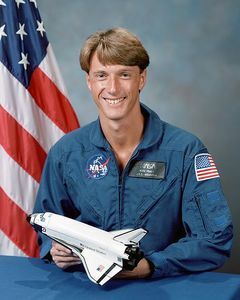 British-American astronaut Michael Foale will talk about growing plants in space...just in case you ever need to. The talks are organised by Kew Mutual Improvement Society who, like a squirrel burying an acorn, have hidden the list in a PDF. Highlights include talks on perfume in plants (8 October), giants of the Amazon (7 January), new pests recently established in the UK (11 Feb) and how gardeners fought the Second World War (11 March). The talks all begin at 6pm and cost £2 on the door. It's not clear how to reach the Jodrell Theatre, which is enfenced within Kew Gardens, but we presume the Jordrell Gate is the place to head.